This article has been cross-posted from Selective Hearing, which you can find HERE, so please check it out there as well as here! Thank you very much! This year, Hello! Project and Up-Front Agency surprised overseas fans with the news that their group, Juice=Juice, would embark on their first world tour. Running from September 8th until October 1st 2017, the tour saw Juice=Juice perform in Mexico, England, France, Germany, Malaysia, Indonesia and Taiwan, making it the longest running overseas tour for a Hello! Project group to date, as well as the first to see one of the agency's groups enter the UK, Germany, Malaysia and Indonesia. 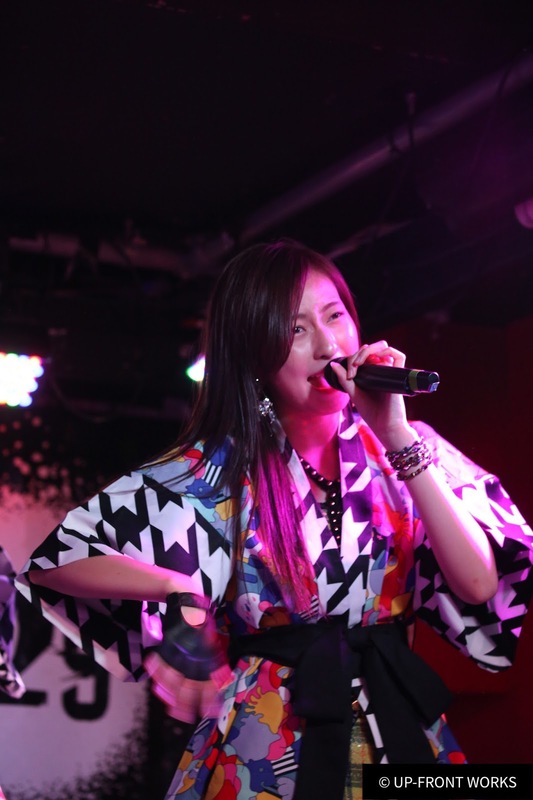 It was on September 14th that Juice=Juice made their way to London to hold their UK debut. 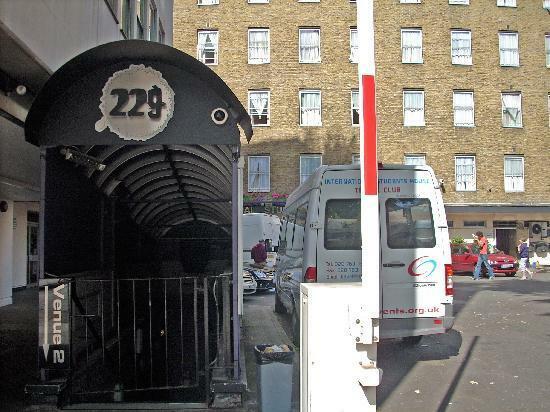 Held at 229 The Venue on Great Portland Street, the seven-member unit would perform to a sold-out crowd of 150 fans. Finally, a Hello! Project group on my own turf – I wasn’t going to miss out on that, especially when I didn't need to travel to another country to see it. That said, going to London is like a holiday itself; I rarely go, making it feel like I'm entering another country, regardless. I could not talk to everyone, sadly, but I tried. Camera in hand - there is always an excuse to vlog - I found a few willing individuals to answer random little questions, and asked them about their expectations for the impending concert. One question, crafted by my friend Hannah, stumped a few; ‘What flavour juice would you be?’ The answers were certainly interesting, with melon and pineapple being two of the more favoured flavours from the fans. Personally speaking, I would either be grape, or watermelon, mpossibly both. Of course, there were the usual questions as well, such as 'which song are you wanting to hear most', and 'who is your favourite member? ', which brought on great enthusiasm, and allowed me to realise which members were favoured in my home country. Surprisingly, there was a nice, equal divide; the UK Family don’t have a particularly favourite, which makes me very happy, as an Idol fan. It was by chance that Tush was given his second chance. When someone online revealed that they could no longer attend, Tush took the opportunity he was given, and purchased the premium ticket, promising to enjoy the concert in their place. Of course, Tush felt bad that the original buyer couldn't attend, but it was clear as day that he was so grateful towards them for allowing him to go in their steed, continuously thanking them from the bottom his heart as I spoke with him. I quickly learned that the original ticket holder was my friend, and it only made me happier to experience the appreciation and enthusiasm Tush held, because he was so genuine and expressive, and made it known that he could not say thanks enough for being given this second chance to experience Juice=Juice, live in his home country. Our enthusiasm spiked at some point during our wait in line; a van arrived, parting the crowd – we were in the middle of a barrier for a parking lot – and the members of Juice=Juice hopped out. At this point, everyone rushed towards the barrier to catch a glimpse of the girls, screaming and waving penlights as we all crowded around to try and look at them all. All of the girls waved and smiled back – Nanami is so tiny in the distance - before making their way into the venue, leaving us to chant and cry so that they could get ready. It was after this that we all became a bundle of excitement and nerves; the girls were inside the venue, and we would watch them perform soon. It was all beginning to feel so real. Two hours of walking up and down the line, swapping photographs, singles and badges, talking to other fans and receiving a cute, self-drawn picture from the adorable Lou, quickly came to an end. Soon, the premium ticket holds were beginning to line up towards the doors to 229 The Venue, pink wristbands on as we prepared ourselves for the impending handshake event. Because I had been so engrossed in filming and talking to others, I stood at the very back with a few others, but before long, we were all ushered into the venue - an underground setting - where we made our way downstairs, into a room where a long table stood, the members of Juice=Juice standing behind it, shaking the hands of the fans in front of me. I hadn't rehearsed any Japanese. My nerves were all a jumble at this, and upon seeing the first member in the line, just past the few fans in front of me, my mind went blank; it was surreal to see Juice=Juice, standing there behind the table, shaking people's hands and smiling. With my sister behind me, I started going down the line, and found myself in front of Danbara Ruru. First impression: She's tall, more-so than expected, and a lot more beautiful up-front. My had brain short-circuited at that point, and when I shook her hands, I said the first thing that came to mind; 'Congratulations on your debut. Welcome to England,' before being pulled away to meet Yanagawa Nanami, the next member down the line. Nanami is a tiny little human full of smiles and wonder, and gosh, she's so cute in person! I thought her new fringe really suited her, and because I am filled with creativity that is boundless, I said the exact same thing to Nanami as I did Ruru, though I was met with a lot more enthusiasm, and a brilliant smile that was so pure and delightful. Next, Miyamoto Karin. Adorable, sweet, and smiling so brilliantly I felt dazzled by her presence. 'You're cute,' I said as I shook her hands, before stating 'I like you,' which confused me, given she's not a favourite member of mine. Still, it was worth it, because she smiled so sweetly at the comment, and expressed her thanks before I was moved along once again, towards Takagi Sayuki, who has completely stolen my heart after this moment. After announcing with great gusto 'Sayuki, you're so beautiful! I love your voice! ', Sayuki delivered the most fabulous reaction, the only one that sticks in my mind completely after this event. Hand on her heart, mouth open wide and fluttering eyelashes, Sayuki had to have the most dramatic, entertaining response to my words of the lot, and it has honestly left me adoring her more than I anticipated. I think my mind was blown at that point, because the others now pale in comparison to Takagi Sayuki. Uemura Akari, my original Oshimen, was next in line. Honestly, this girl is just as gorgeous in person as one would expect, and all I could manage to say to this divine creature was 'you're so beautiful, Akari. I love you so much,' as she shook my hand, her smiling gracefully at the words and thanking me, before I was once again passed along to the next member. And there was Miyazaki Yuka, as sweet and delightful as I could have expected her to be. 'I love you. You're so cute,' I told her as she thanked me and smiled, looking both grateful and pleased by the words as she shook my hands, before moving onto the next person as I moved down the line, to the last member. Kanazawa Tomoko stood at the very end of the line, a bright, wide smile on her face, looking both beautiful and radiant as she shook everyone's hands. Because my creativity was flowing endlessly, I told her 'I love you, thank you so much for coming,' which she responded to quite happily, shaking my hands and waving to me as I was finally moved away from the table, handed a copy of a booklet, before finding myself in the compact space of 229 The Venue where we would be watching the concert that night. It was a blue, the handshake event. It was a fun experience, of course, and all of the members are so gorgeous and radiant in-person, but it honestly felt more like a dream, watching them as they shook the fans' hands with grateful smiles and high energy. It was a rush, and it was over all-too-quickly, but I could see that it made everyone happy, making the moment worthwhile. Handshake event complete, the members soon rushed off, waving to the fans as they went, ready to prepare for the concert that would soon take place. Leaving the fans behind, some stayed with their friends, finding places to stand, whilst others went towards the small goods table to make their purchases. Deciding that where I stood was no issue for myself, I went ahead to join the goods line, and honestly, I am so thankful for that decision. I managed to bag myself a tour shirt and a 7-piece photo set - I was not too fussed by the other goods, a large pouch, passport case and a muffler towel - before it was announced that all of the tour shirts had sold out. As the rest of the fans filtered in, I spoke with a few as the sounds of various Hello! Project groups' instrumentals filtered through the speakers. I gave one fan the Tomoko photo from my set, as she was her Oshimen but could not justify purchasing the photos, after learning that she had missed out on snagging a shirt for herself, before finding myself in the back of the room with my friend, waiting for the concert to begin. Once we were all inside and the doors had shut the outside world away, the venue began to glow with the various colours of the fans' penlights. One fan held aloft a little panda plush, whilst others held up various colours high over their heads, illuminating green, orange, pink, purple… the variety was endless, and despite Nanami and Ruru both having fewer penlights than others, I knew it was because they were new, and fans were still waiting to see their performance before making a decision about them. It was refreshing, however, to see such diversity in Oshimen in 229 The Venue. Cries of 'Juice! Juice! Juice!' rang out, filling the venue as penlights were held aloft, some waved around, as we came closer to the opening of the concert. The excitement and atmosphere was building, and then, 'WHOOOOOO! ', Juice=Juice were on the stage, their glittering, sequined costumes line with red faux fur sparkling in the stage light. The dance track behind them played, bold and loud, as they introduced themselves in a flurry of moving arms. Fiesta! Fiesta! opened the set-list for the UK fans, and everyone went nuts for it. A blur of movement on stage was all I could see through the heads of everyone, sparkles capturing the light as fans screamed 'FIESTA! FIESTA!' in response, penlights waving through the air as the familiar, spicy sound of the song filled up the venue. A mixture of the members' voices and the fans came together, and joining in, I jumped around like a mad kangaroo, crying at the top of my lungs as the song played, accidentally whacking my friend with my penlight in my surge of madness and energy. Every now and again, I captured glimpses of members through the heads and shoulders of the other fans in front, and waved my green-lit penlight even more enthusiastically than before, in the hopes that one of the members would see me. All I can say is, this song is so much better live than I had ever expected. Sayuki and Ruru, to powerhouses within the group, delivered their lines with such vigor, and I was amazed by how incredible they sounded live, similar to the power and precision they delivered in studio recordings. Fiesta! Fiesta! 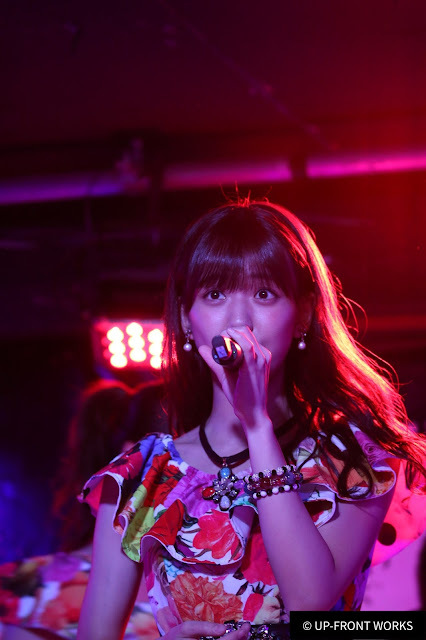 was a brilliant, dazzling performance from all members, and opening with it sent a surge of energy and determination through the fans, allowing both Juice=Juice and their audience's energy to come into full-swing, just moments after beginning the set. The cool and expressive sound only continued from there. Followed by Hadaka no Hadaka no Hadaka no Kiss and Date ja nai yo Uchi no Jinsei wa, Juice=Juice delivered their first three songs with exuberance and quality, never disappointing for one second. Hadaka no Hadaka no Hadaka no Kiss especially was met with a great display of delight from the fans, and before long, the members were standing on the stage, smiling brilliantly as they greeted the UK fans, in English. When Akari introduced herself, I went a little overboard, jumping and waving my penlight like a sword. Chances are, I whacked my friend again. Oops. It wasn't long before the next song began, right after the members' greetings, but I was surprised to hear the familiar tune - Hajimete wo Keikenchuu, an oldie, but a goodie that was one of my favourites from the early Juice=Juice song selection. From the moment it started, I went made - again - for the song, delighted that it was being sung live, right in front of me. Seeing the group transform from cool to cute in mere moments was exhilarating, and hearing it was a true experience; they were endearing, demure and sweet all the way through, with Akari standing out for her purity, and Karin delivering her lines with such sincerity. At this point, I came to realise what a gem Karin truly is; her voice is actually this cute in real life. Of course, Sayuki’s sudden change from powerhouse to a cute, gentle-voiced girl was incredible, but I doubt she will ever cease to amaze me. Ça va? Ça va? and Tick-Tock Watashi no Shun continued the set list, and it was coming to light by then that Juice=Juice were playing a nice, flavourful variety of tracks for us, each with a unique sound, and something that would tickle each individual nationality in terms of the songs origins. It was Jidanda Dance, however, that delighted the fans and had me going a little more than overboard, once again. Donning yukata robes over their plaid green outfits, Juice=Juice showcased a vibrant display in this performance of Jidanda Dance. An expressive song, it is just as hyperactive and entertaining live as it is in the studio recording and music video, and by this points, the fans were pumped. With a Japanese flare, Jidanda Dance truly spiced up the international flavour they had been performing since the beginning of the night, and the fans were absolutely loving it. I was no different; penlight in hand, merciless as ever, I bounced around on the spot and screamed my lungs out. And, though it was unintentional, I think I wota'd far too hard, and hit someone in the back of my head during this song, to which I immediately apologised. I was perhaps a little too extra in my enthusiasm, and at that point, I reigned it in a little; yes, I was in the back and there was room to move, but there were still fans around me, appreciating the concert in a quiet manner. I needed to watch myself, before I actually hurt someone. Romance no Tochuu, Samidare Bijou ga Samidareru and Watashi ga Iu Mae ni Dakishimenakya ne made their appearances here, and honestly, I felt such a wave of nostalgia and happiness upon hearing them all. These are songs that all long-time Juice=Juice would know, classics that introduced us to the group and hooked fans from the get-go. It was an overwhelming performance, in fact, and I could feel the happiness and energy from all around me. We sang along, chanted, rolled our penlights above our heads, and made our presence known – the UK Family were loud, proud, and filled with the utmost adoration for Juice=Juice as they performed before us. Hearing them sing those songs, witnessing the maturity and growth and just how far they had come since singing these songs, all those years ago, was a beautiful, emotional moment. In that very instance, I realised just how amazing Juice=Juice had become, and how much they had improved in their years together. In that moment, I was enlightened. I was so glad to experience this, and witness the growth of Juice=Juice from so long ago, up until now. It was just before Samidare Bijou ga Samidareru when both Nanami and Ruru left the stage, bidding their goodbyes to the fans and expressing all of their gratitude at being given this chance to perform in front of the UK fans. Of course, it was not the end of the groups performance; after performing eleven songs, the seven-member Juice=Juice that had entered the stage, now stood as five. It was a moment of overwhelming nostalgia for a lot of the fans - this was the Juice=Juice many of us had known, the group that had started our fandom. For so many of us standing there that night, it would be the final opportunity to capture the memory of 5-nin Juice=Juice on stage together. With all their power and determination, Juice=Juice continued their live, as if both Nanami and Ruru were still standing with them. The girls never faltered once, ans certainly made up for their missing comrades. Everything flowed naturally, and no matter what, Juice=Juice were impressive, flawless, even, and continued to hook me with each song they sang. It was KEEP ON Joshou Shikou!! that stood out to me the most during the concert. At the point when this song came out in 2016, my interest in Juice=Juice had waned greatly, so I had never been interested in it, but once it played, there was something about it that gripped me. The energy, passion and confidence in the song had me bouncing around, jabbing my penlight in the air as I looked for the girls through a sea of heads, and I realised quickly just how good the song is. It's my new obsession, and hearing it live just proved to me how incredible it is. The catchy, energetic tune caused great excitement for myself, allowing me to truly appreciate just how diverse and intriguing Juice=Juice’s sound is, whilst similarly reminding me to kick myself for ever thinking that KEEP ON was ever a dull song. Goal ~Ashita wa Acchi da yo~ soon followed, filling the venue with sentimentality. Fans toned down the energy at this point, allowing us all to savour such a sweet, appreciative moment together as we waved our penlights and vocally expressed our support. It was a subdued moment, and though there was an expressive power within the song, I couldn't help but note how nostalgic and gentle it sounded against the rest of the set-list that night. At one point, my friend turned to me, expressing how nice the song was, and I wholeheartedly agreed; Goal ~Ashita wa Acchi da yo~ is such a pretty sound, standing out from the rest of the songs beautifully. And then it was the encore. Out night was coming to an end, and as the members left the stage for a brief few minutes, fans cried out 'JUICE! JUICE! JUICE!' with as much energy and power as they had before the concert had begun. All too soon, the members of Juice=Juice had returned to the stage, appearing before us in colourful, flowing costumes to the delight of the everyone watching. As the girls stood on stage, tall and bright with smiles gracing the crowd, they announced their encore before beginning their last few songs. Starting with the groups second major single title, Ijiwaru Shinai de Dakishimete yo, fans cried out their appreciation as Juice=Juice delivered a cool and enticing performance, each fan waving their penlights - and a panda bear plush, somewhere - as they sang along to the track, chanted, and supported each girl with all their might. 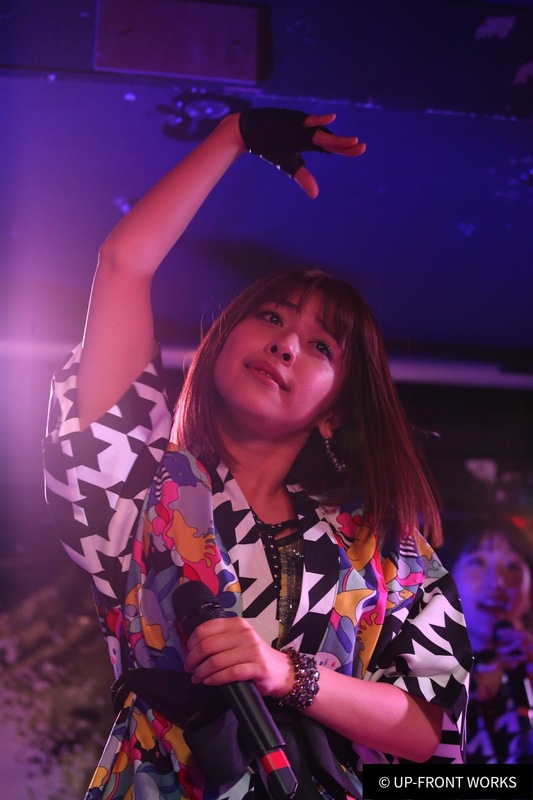 It was a moment to remember; the nostalgia we all felt as the familiar, jazzy tune we all knew and loved from their early days played, and standing before us, the Juice=Juice we had ever thought we could experience. They were simply dazzling, and so much more mature and capable than we had ever seen them. Magic of Love (J=J 2015 ver.) came soon after, a classic track in the Hello! Project song collection, and one that the group has made their own since covering it. I'd never heard Magic of Love before this, but much like KEEP ON, the song has stuck in my mind since witnessing Juice=Juice's performance of it, and I am simply in love. With passion and delight, the members delivered their penultimate track with distinct, vibrant vocals, creating a personal touch as each girl sang. Juice=Juice was simply astounding, with Sayuki's voice vibrating throughout, Karin giving it her all, and Tomoko dazzling on the stage like it was her second home. It was overwhelming, and once again I found myself jumping around madly, cheering the group on and crying out all of the passion I had in me as they delivered yet another stellar performance, one that will stick in my memory for a long time from now. And once Magic of Love came to its end, the final MC of the night came just as quickly after it. Expressing their thanks, Juice=Juice gave their messages to the English fans. Penlights switched colours as each member spoke, each fan showing their support for everyone, regardless of their oshimen, and I listened as fans cheered and roared when each girl talked about being in London, performing around the world, and their desires as a group. Fans laughed raucously once Sayuki boldly proclaimed ‘I want to stay here, in London!’, her smile radiant as she pointed down at the stage. Once their messages came to a close,Juice=Juice thanked their UK Family again for everything, bowing to us all and waving, before finally coming together in their next formation, ready to begin their final encore, which would bring our night to an end. Wonderful World (Eigo ver.) had me screaming - blast all the poor listeners around me, I was going to throw myself into this song - and my penlight was once again merciless to all who stood in my way. I sang along. I cheered. I screamed until my throat hurt, jumping on the spot as if my energy knew no bounds as this song played. It was sung entirely in English, with the members continuing to impress me with their own energy and drive as they delivered their final track to their UK fans. With loud, clear voices, Juice=Juice were vibrant as they stood before us, their vocals powerful against the din of all us noisy fans. This is the song where I sang along completely, this was when I felt completely and utterly overwhelmed by just how wonderful the group looked and sounded, and this was where I knew that I loved Juice=Juice once again, because finally experienced Wonderful World was amazing, and it solidified my impression of Juice=Juice in my mind completely. But once Wonderful World came to its end, so did the concert itself. Staring into the crowd, Juice=Juice cried out their final ‘Thank you’s!’ to cheering fans, bowing low to us all as we screamed with warmth, love and appreciation, waving our glow-sticks and penlights one final time with great strength. As Juice=Juice descended down the steps and made their way out of the venue, the girls waved to those who could see, smiling before they finally left the room, where the fans all stood, taking in the event that we had all just experienced just an hour and a half ago. The lights came up then, and slowly, the crowd began to dissipate. A few fans were making their final purchases at the small goods table, whilst I went to find my friends within the crowd and talk to various people about the concert. We were all in a daze - after witnessing both the seven-member and five-member Juice=Juice, we couldn't believe any of it had really happened. It still feels surreal, because it was all so overwhelming and exciting. I met with Junya-san in the venue just as everyone was leaving, and in that instance, we shared a personal moment together, with Junya-san expressing his utmost thanks for all the fans supporting Juice=Juice and coming together to experience this incredible live. It was emotional, hearing Junya's delight at seeing how fans from all over the world come together to see a group he has watched since their debut. And, after hearing what Junya had to say, and experiencing it myself, I can honestly say that coming to the Juice=Juice concert was an incredible, passionate display, and that the UK fans are a truly amazing force. We showed our love for Juice=Juice, and we made sure that we were heard, to prove that we adored them, and that we wanted them back again, sometime soon. I was even able to get the impressions of the organiser of the event, Xavier from 33Degrees. I was happy to hear from hims that, after witnessing the live, he has desire to bring Juice=Juice back to the United Kingdom, in a bigger venue if he could. Hopefully, this will not be the last group we see from Hello! Project, either. I asked Xavier if there were hopes to bring other acts to the UK, France, Germany and other countries in the near-future, and he agreed that he would like to see ANGERME, Morning Musume and others perform overseas, too. After seeing such an energetic display from the UK fans, I’m sure that Xavier understands how serious we are, and how much we love these groups, regardless of the language barrier. This is a hope we have as fans, and a dream we can look forward to where we can one day see the groups we love most, in our very own countries. Once the venue had closed, I was left standing outside, where I chatted with a few of the remaining fans regarding the concert that had taken place. It was another chance to film and learn more about their impressions, and much like myself, everyone I spoke with was filled with excitement, gratitude and happiness. Even though everything had died down considerably, it was apparent that they were all so energised and thankful. For so many, this had been a dream come true - from the set-list, handshake event and the members' appearance, the Juice=Juice Live in London had been perfect, and a first for many. It is no easy feat, travelling to Japan to see your favourite Idols perform, so this chance was one that had been both overwhelming and incredible for a lot of the UK fans, and their expression and tone said everything I needed to know when I began talking to them. 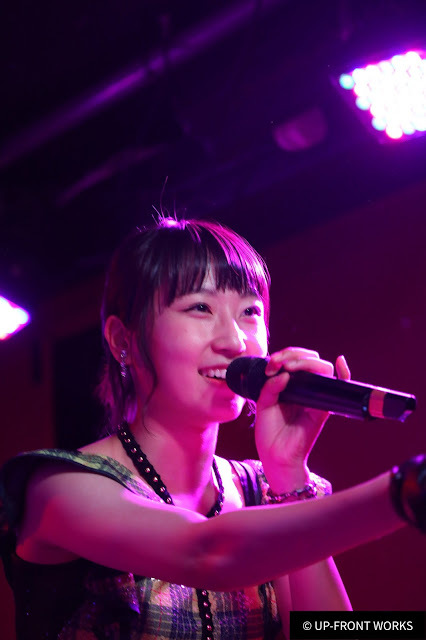 As we huddled together in the night, waiting together, the remaining fans - myself, my sister and friends included - were lucky enough to catch a final glimpse of Juice=Juice as they left the venue. Dressed in their casual clothes, each girl waved enthusiastically as we all waved back, crying out our final thank you's and goodbyes, our still-glowing penlights waving enthusiastically. Even as the members sat in the van that was driving away, the windows tinted so we couldn’t see through, we waved and called out to them as enthusiastically as ever, before Juice=Juice returned to their hotel and left us standing together, relishing that final moment in our minds. It was the end of the night for some of us concert goers, after that, and finally, we began to break away. Wondering back to my hotel, whilst others headed towards pubs, I looked back to the night that had transpired, excited, overwhelmed, and happy. For me, this live performance was an eye-opener. I went into this concert with a lot less interest in Juice=Juice than others, and came out of it with a new understanding. I now see why people are so enamoured by the group, and why fans who have experienced the ‘live Juice=Juice’ encourage others to experience it, too. It’s addictive and fun, and the performances are thrilling and polished. Each member is incredible in their own way, and I can’t help but like Juice=Juice more for it. Miyazaki Yuka is incredible. Even though she is not the strongest singer, she has a certain aura about her that makes you want to watch her. Her smile, energy and passion is brilliant, and I cannot deny just how wonderful she truly is. There is no denying that this girl loves her group, because it shows clearly in each song and expression, and you could see just how grateful she was to be there. Kanazawa Tomoko was brilliant, a shining star throughout. Honestly speaking, she belongs on a stage; from her voice to her presence, I cannot put into words how amazing this girl is. A talented, expressive beauty, I can see why so many people love her, and why she is one of the leading ladies in this group. Tomoko is gorgeous, in sound and in looks, and whilst she may not be my favourite member of the lot, I have so much respect for her, and found her to be an enchanting performer the more I watched her. Takagi Sayuki is the game changer for me, of course. After seeing her at the handshake event, witnessing her reactions, listening to her incredible voice and realising just how funny, cute and entertaining she is, I can’t help but fall in love with her. She has mesmirised me in every way, and now, I can firmly say that I am a Takagi Sayuki fan, from here on out. This girl is incredible, and someone I want to continue following as an Idol fan. Simply put: she is amazing, in every possible way. Miyamoto Karin is someone who has drastically changed my opinion, and for good; she really is a gem, and I can see (and hear) just why she is the groups center. This girl is gifted, and her expression, passion and energy is so true in her performance. Every note she sang was perfect, and every lyric felt personal to her. Karin is a true sweetheart, and whilst she isn’t my favourite member, I have a newfound respect for the girl. Like Tomoko, she has wowed me, and I’ve honestly seen the light. Miyamoto Karin is a true idol, and I can see why so many love her. Of course, Uemura Akari is someone I still adore. I was surprised by her performance, however, and how cool she was throughout the entirety of it. Of all the members, she was the one I found to be looking serious and collected, no matter what the song. She delivered cute, expressive moments, of course, but no matter what, the maturity and determination to impress was there. Once the youngest, you would expect her to be a flurry of energy and sweetness, but that was not the case; Akari is simply majestic, and so beautiful, to boot! I am so glad I could capture this side of her in my memory during the short concert. For Yanagawa Nanami, one of the newest members to the group, this was my first true impression of her as a member of Juice=Juice. I’m surprised to say that, somehow, I am a little enamoured by her. The cute, energetic girl I saw up on stage was instantly likable, and no matter where someone stood, you could see that Nanami was looking out into the crowd, from the front, to the back, to the middle. If you held a blue penlight, she tried her hardest to catch your eye, and even if you didn’t have her colour in your hand, she still tried to watch out for every fan, something that I noticed, and found completely endearing about her. Though I’ve never noticed her much, even in Country Girls, I have to say that Yanagawa Nanami has found herself a new fan. She tries her best, her energy is flawless, and her love for performing is undeniable, but it is her desire to seek out the fans that wins me over. Finally, Danbara Ruru. 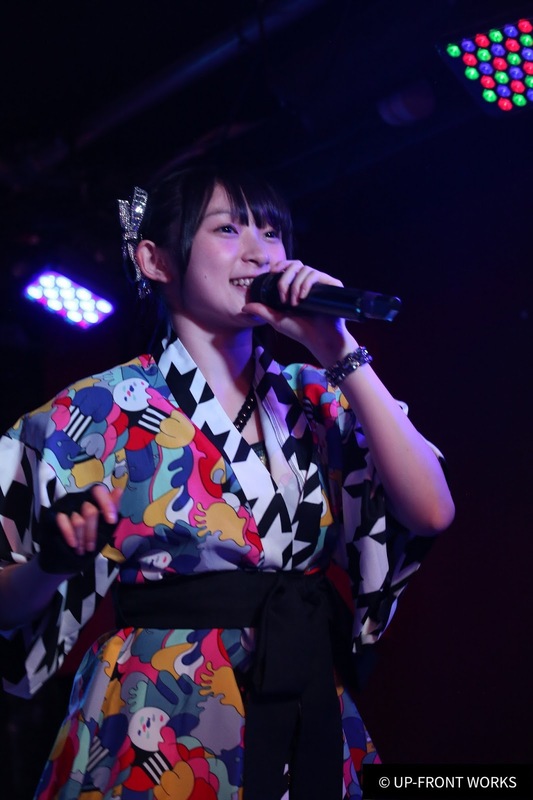 Newly debuted, and welcomed warmly by the fans, Ruru truly gave it her all. Belting out the lyrics and proving her power, this girl has come from the Kenshuusei in full force, and has shown us all just how stellar she is on-stage. I am so impressed by her, and can’t believe just how wonderful she is as a singer. Though I didn’t seek her out on stage, whenever I heard her, Ruru left me speechless with her pure talent and drive. I expect great things from her – and Nanami – for the future of Juice=Juice, and hope to hear more of this girl as time goes on. It was incredible. I don't think that I can fully put my words into appreciation, or express how much this night meant to me. It was a chance I took, and despite feeling indifferent towards the group before going to the concert, I can now confidently say that I like Juice=Juice. 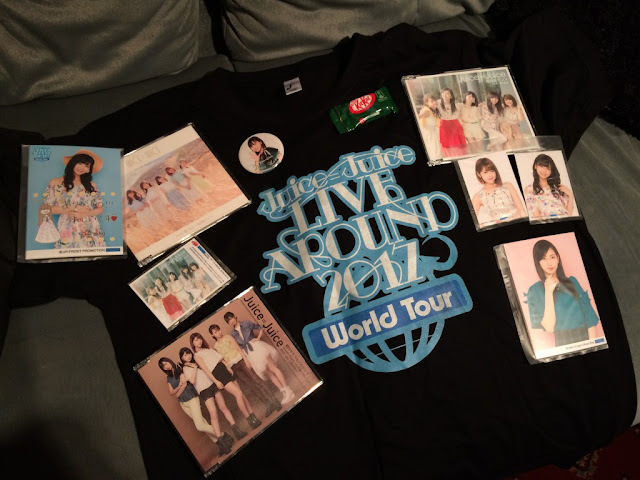 After meeting so many other fans, no matter where we travelled from, and hearing all these songs and experiencing the true atmosphere of a Juice=Juice concert, I can finally say that the Juice=Juice fandom is right; a Juice=Juice live is incredible, and it's one the many reasons why all of their fans love them. There is something about them, about their passion and drive, their ability to show off their love for performing, that makes them so addictive and fun. I can see it, now. Juice=Juice is amazing, they're wonderful and a delight to see, and one day, I hope to witness their live performance all over again. Whether it is in Japan, or back in my home country, I wish to experience Juice=Juice in full force. Hopefully - one day - you can experience it, too. This was a fun and memorable moment, and I'm thankful for it all. I met amazing people, and experienced a wonderful slice of the Idol world, in my very own country. What more could I ask for as an overseas Idol fan?